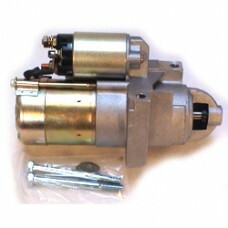 High torque mini starter for engines up to 10:1 compression. Staggered bolt pattern for blocks requiring this style only. Will only work with 168-tooth flywheel. Fits Small Block Chevrolet with staggered starter pattern and 168-tooth flywheel. Note: If straight bolt pattern is also on block, see alternative starter RUK66256.